I have seen too many CEOs’ efforts to grow their organization disrupted by under educated and inexperienced investors—sources of dumb capital, in other words. Your success depends on raising what I call smart capital—capital from experienced investors who bring more than mere money to the table. Money itself is fungible. Any amount of it in any form is freely exchangeable with any other like amount. But capital is not fungible. Not every type and source of capital is created equal. Each carries with it specific relationships and effects that business owners must take into account. Requires you to give up too much control of your company too early in the process; it changes the dynamics of your company. With less power over decisions, you are less likely to reap the rewards of your sweat equity. Ties you to intrusive investors or board members. These individuals can be disruptive to your day-to-day operations, wasting more valuable resources than they bring. Disrupts your strategic vision by creating unnecessary friction, distraction, and bickering. Capital should support and enable your accelerated growth, not hinder it. 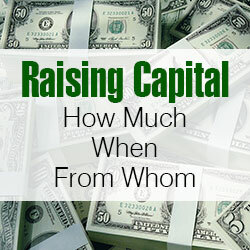 If you are considering a source of capital that has any of the following attributes, look up. See those red flags waving? Has relevant past experience in building and scaling a similar portfolio company. Has access to broad strategic relationships, including prospective customers, partners, and members of the business and investor community. Unlike dumb capital, smart capital waves green flags that recognizes you’re on your way in the accelerated growth curve. With shrewd judgment you can attract the smart money and say no to the dumb. To successfully raise smart capital, I recommend that you focus on a strategic relationship plan based on the traditional three-step process of gap analysis. Describe your current state, define your future state, and seek out the business relationships that will help you close the gap between them. Present state: Gather your freshest and most accurate financial statements, market research, and details of your unique market position. Review your current strengths and weaknesses, in terms of operations and strategic plans. Future state: What is the realistic aspiration for your business within your funding horizon, say 18-24 months? Closing the Gap: The gap between your present state and future state becomes your scalability plan. How will you reach that goal? What infrastructure will you need? What talent, with what skills and capabilities? What relationships could help you control the speed and gradient of your growth? 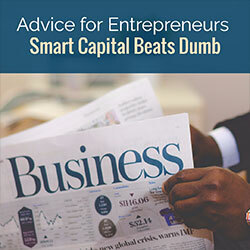 Lean toward the smart capital, say no to the dumb capital, and if you find yourself saddled with investor relationships that are unproductive, get out as soon as you can. The investors you need bring much more than money—they bring strategic relationship capital. 1. Dumb capital requires you to give up control and/or accept disruptive and intrusive relationships. 2. Smart capital is generative. It brings business acumen, experience, and relationships. 3. Raise smart capital by focusing on strategic relationships developed around a sound scalability plan. Starting a company on a shoestring practically guarantees the founders will seek money through their own bootstrapping efforts. It Is a given that early-stage entrepreneurs need the least expensive and most accessible sources of seed capital they can possibly find. However, getting by on a tight budget can be challenging. To avoid the devils of both undercapitalization and over-commitment to powerful investors, start-up founders must think creatively! Your business idea may take years to develop into a salable product. I see far too many companies fail to develop a strategy to optimize their sales and profitable revenue growth in this early phase. And yet, sales and profitability exponentially increase your chances of attracting seed capital. The solution, I submit, is to validate your products with real customers BEFORE giving up equity in your company. Limit yourself to the cheapest sources of financing possible while you discover the market challenge or opportunity you can uniquely address for your customers. The only market validation any investor cares about is paying customers! Finding a successful value proposition may require navigating a long and winding road. Savvy entrepreneurs start the prototype of a business, planning for evolution as the company begins to work with customers to identify their true pain points and the resources they are willing to invest to cure that pain. When you bootstrap your initial stages, you will find it far easier to be flexible and change directions in response to market signals. The biggest mistake I see at this stage is entrepreneurs who keep pursuing a market where there is no need of their offering, or the solution is far ahead of the target market’s requirements. It is simply too easy to run out of money before sales are realized. If you are not tempted by too much early-stage capital, you can retain a healthy stake in the company, allowing you to quickly respond to market demand, even if it requires a revamp of your entire company’s focus. No one wants to have to convince major investors in widgets of the need to shift to whatsits. If you opt to take only a modest sum of early investments, and instead rely primarily on sales and customer revenues, you position your start-up for maximum opportunity and flexibility. Bootstrapping while your business is at its lowest value early on allows you to avoid giving away too much, too early in the lifecycle. Most entrepreneurs have more access to capital than they think. How much cash could you access if you added up your liquid assets—credit card limits, unused equity in your house, the cash value of your insurance policies, your 401(k)? Cash flow projections showing how much cash you expect to generate, i.e. your proof of ability to repay loans. Aging reports of accounts receivable and accounts payable, in 30-, 60-, 90- and past-90-day categories. Personal financial statements for all owners, partners, officers, and stockholders owning 20 percent or more of the business. These should list personal assets, liabilities and monthly payments. Also gather personal tax returns for the past three years. How accurate and credible are your financial statements? Next to delivering real value for customers, accurate financial statements should be your highest priority! Attention to financial health and stewardship may not be the fun part of entrepreneurship, but nothing contributes as much to your ability to attract early-stage capital as these two assets: trustworthy financial statements and bona fide paying customers. 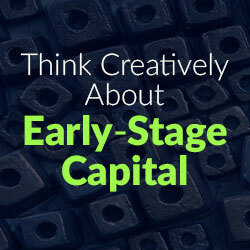 To lay the groundwork for a successful start-up, think creatively about early-stage capital and keep your commitment to outside investors to a minimum. Your business idea may take years to develop, so keep the emphasis on flexibility when seeking with early-stage capital, in order to find the value proposition that reliably generates profitable sales. Think outside the venture capital box to find uncommon sources of early-stage capital, like business plan competitions, supplier financing, and government programs. Keep your financial house in order. You will need complete, trustworthy financial statements for the company as well as for all the individuals involved owning 20 percent or more of the business. Capital. You need it. But raising too little, too late, or from the wrong source can cause your enterprise to choke. The middle of rapid acceleration is a terrible moment to find yourself running out of fuel! 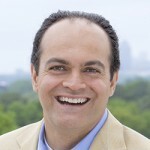 Over the past two decades, in addition to my own journey to raise capital, I have reviewed hundreds of business plans, sat in on countless board meetings, and interviewed scores of entrepreneurs on behalf of their investors. I’ve learned that by being smart about how much you raise, when you raise it, and from whom you accept it are critical factors in successfully scaling your fledgling business. In my experience, most entrepreneurs plan to raise enough capital for 12-18 months. But given the challenging economic climate in recent years, you should plan for a longer runway. Raising capital is distracting and you need a sufficient amount to carry you for 18-24 months without the need to keep returning to the well. Failure to have access to adequate capital can cause performance to suffer. Investors are naturally disturbed by investments that miss their milestones in financial performance. But worse, if you don’t have the working capital on hand to execute your plan, invest in your development, and hit your revenue growth targets, you give direct competitors an opportunity to out-hustle you! While you struggle, you are in danger of being lapped by someone who is better able to continue raising capital and executing their plan. There are two schools of thought on timing of investment rounds. One opinion holds that entrepreneurs should raise the smallest amount of capital necessary to meet short-term need, so that future capital can be sought when the company is at a higher valuation. That’s one trajectory. But the other opinion argues that there’s no time like the present to gather all the resources you can. “When the cookies are being handed out, you take as many cookies as you possibly can,” said one investor I interviewed for a recent book. Your own sensitivity to risk, and your projected growth plans, will guide you toward the right choice for your unique business and situation. But here’s a tip—if your projections look like a hockey stick, better grab those cookies if they’re offered. More on that in a moment. Arguably the most important factor among these three is the question of raising capital from appropriate sources, because the relationships you form early in your growth cycle will have the most impact on your future strategic relationships. Remember, you’re interviewing them to become proactive and supportive partners in the venture as much as they’re evaluating you as a viable investment option. Capable of putting in multiple rounds of financing if and when needed. Building a dream team of institutional investors with these qualities early on can help entrepreneurs reach the performance results they aspire to reach. I am a big believer in pre-mortems—getting the smartest group of people you know in a room to whiteboard any proposition and shoot holes in it. Before you decide whether to raise a little or a lot for your next growth stage, figure out all the possible ways your plans could fail. Counter the risks you identify with tactical action plans, including go/no-go quality gates based on performance milestones. After the pre-mortem exercise, you will be much better prepared to assess how much, when, and from whom you should raise your next round of capital. You are no doubt surrounded by people who are offering their opinions and personal perspectives. Filter those voices down to the wisest advisors—those who have learned the hard way how to do what you’re setting out to accomplish. Choose as your advisors individuals who have successfully raised your desired size and source of capital. From these strategic relationships, the right answers to how much, when, and from whom will become clear. 1. How much? 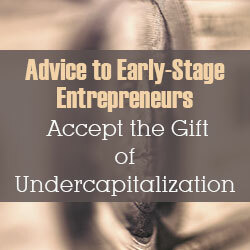 To avoid potential undercapitalization at a critical moment, you need to raise sufficient capital for a viable runway. 2. When? Consult your advisors, because there are two views: either the smallest stake necessary to meet short-term needs, or as much as possible, as a hedge against future difficulty. Your unique business and situation will dictate which strategy is more appropriate for you. 3. From whom? Target investors who know your industry and its financial challenges, and who are likely willing and able to grow with you for the long term. Over the past two decades, in addition to my own journey to raise capital, I have reviewed hundreds of business plans, sat in on countless board meetings, and reviewed outrageous “land-grab” opportunities. I’ve lived through the wishful thinking and half-truths entrepreneurs tell when they’re trying to raise capital and I’ve experienced what investors say to entrepreneurs and what they really mean after they leave. The common denominator among those raising capital successfully has always been not only the entrepreneurs’ practical, pragmatic, and well-researched market opportunity, but also their ability to articulate a believable vision, and much more importantly, execute on the economic fundamentals. With execution, performance, and results comes credibility, believability and trust – trust that encourages funders to invest initially and in subsequent rounds, as well as to introduce entrepreneurs to people who can help the venture exponentially reduce risk and accelerate its growth. But first you have to find investors. Raising capital or nurturing relationships? Stick around the venture capital business long enough and you’ll hear every response to your plea for money imaginable. Everything is a challenge in the life of an entrepreneur, and raising capital is no exception. Before you get started, it is critical first to understand that raising capital is never just about the money. Just as important is attracting, retaining, and growing a strategic relationship with a financial partner who develops a vested interest in the long-term viability and success of the brand called YOU! Let me say that again – successful fundraising is about attracting, retaining and growing a candid, mutually respectful and trustworthy strategic relationship with an appropriate financial partner at the right stage in your personal and professional growth cycle! How does this make undercapitalization an advantage? When you accept operating on a shoestring for the short term, you give yourself permission to focus on nurturing relationships, not just capital. You adopt a “crawl, walk, run” growth strategy that builds a solid foundation that can support your future growth. You begin to nurture relationships that will mature into tomorrow’s subsequent round investors. You raise scaffolding around your foundation on which to build a durable business. Each industry has its nuances. Most astute investors tend to “bet more on the jockey, and less on the horse.” That is not to say they know any less about the horse. They know the horse’s required training regimen and the ground conditions on which the jockey will ride that horse, hopefully to a strong finish. Because they know the horse so well, they develop a knack for identifying critical traits in jockeys that will get the absolute most out of the horse. That’s why savvy investors tend to focus on a particular industry. Either through their own personal and professional experience—such as being a banker for 30-plus years—or by having made several investments in the particular industry, they understand industry nuances well. These are the people you need in your corner. As your business matures through a natural evolution, it requires distinctly unique amounts and types of capital. Access to these sources also becomes a challenge, as many investors seldom accept “cold calls” or unsolicited offerings. But if you approach with your ears open for sound counsel, vs. simply a handout for an investment, you might find knowledgeable mentors with expertise in your industry, willing to help you understand the nuances as investors see them. With regard to your business, what are the top three industry nuances that an objective investor could consider to be a hindrance to success? How would you respond to allay each concern? What do you need to know to be able to respond with more authority and confidence? Seek strategic relationships with industry insiders who can build your knowledge and accelerate your ability to achieve your goals. Lack of the level of required expertise: They simply didn’t know what they didn’t know. They spent way too much money trying to learn or acquire the necessary expertise. Ignorance or bad counsel: it is critical to intimately understand the dynamics and nuances of your market; bad advice regarding a flawed strategy or inept execution can be a very expensive proposition. Misplaced comfort level of recent capital raise: because it is “someone else’s money” a CEO gets a false sense of security by having that money in his account to spend. What many entrepreneurs don’t understand is that they are stewards of that resource and need to carefully and consistently evaluate where and how they spend it. Raising capital can be complex, expensive, and time consuming. Before you embark on the journey to raise capital, make peace with an undercapitalized early stage and turn your focus to nurturing the relationships that will lead to the external funding that takes you to the next level—when the time is right. Then, when you are ready, be clear about the intended use of that capital and your desired outcome from the investment. Keep the lessons of your undercapitalized early stage: relationships matter more than capital, and the habit of frugality will serve you well for life. 1. Nurture strategic relationships before you raise capital. Successful fundraising requires a relationship with the right investor for each stage in a business’s lifecycle. 2. Build strategic relationships with insiders in your industry. They will increase your ability to calm investor’s concerns when you do seek capital. 3. Accept the gift of undercapitalization: frugality that prevents you from attempting to run before you can walk.